ConnectNY (CNY) is a consortium of New York State academic libraries and the Center for Research Libraries that lend and borrow books from a shared catalog. Founded in 2003 with Mellon Foundation funding, CNY "supports resource sharing and enhancement of services to users through programs in cooperative collecting, access to electronic resources and physical collections, and expedited interlibrary loan and document delivery." In 2010, CNY became an incorporated 501 (c)3 non-profit organization in New York State. At that time, CNY consisted of 15 libraries and 16 collections (CRL's holding were incorporated into the catalog). ^ Lucy Scribner Library. "ConnectNY". Skidmore College. Retrieved 18 November 2013. ^ "Staff Information". ConnectNY. Retrieved 18 November 2013. 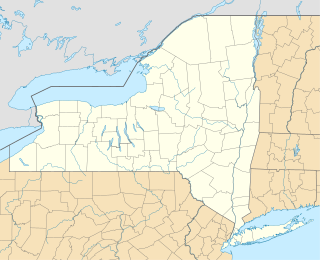 Syracuse is a city in and the county seat of Onondaga County, New York, United States. It is the fifth-most populous city in the state of New York following New York City, Buffalo, Rochester, and Yonkers. Syracuse University is a private research university in Syracuse, New York, United States. The institution's roots can be traced to the Genesee Wesleyan Seminary, founded in 1831 by the Methodist Episcopal Church in Lima, New York. 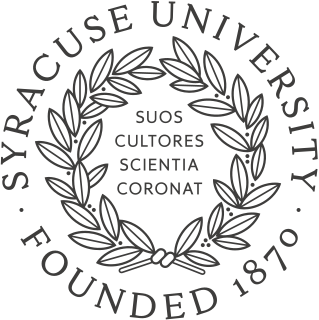 After several years of debate over relocating the college to Syracuse, the university was established in 1870, independent of the college. Since 1920, the university has identified itself as nonsectarian, although it maintains a relationship with The United Methodist Church. Altmar is a hamlet in Oswego County, New York, United States. The population was 407 at the 2010 census. The New York Public Library (NYPL) is a public library system in New York City. With nearly 53 million items and 92 locations, the New York Public Library is the second largest public library in the United States and the third largest in the world. It is a private, non-governmental, independently managed, nonprofit corporation operating with both private and public financing. The Graduate School and University Center of the City University of New York is a public research institution and post-graduate university in New York City. It is the principal doctoral-granting institution of the City University of New York (CUNY) system. The school is situated in a nine-story landmark building at 365 Fifth Avenue at the corner of 34th Street in the Midtown neighborhood of Manhattan, across the corner from the Empire State Building. The Graduate Center has 4,600 students, 31 doctoral programs, 14 master's programs, and 30 research centers and institutes. A core faculty of approximately 140 is supplemented by over 1,800 additional faculty members drawn from throughout CUNY's eleven senior colleges and New York City's cultural and scientific institutions. The Post-Standard is a major newspaper serving the greater Syracuse, New York, metro area. Published by Advance Publications, it is one of several consumer brands of Advance Media New York. The other major brand is syracuse.com. The newspaper is published seven days a week and is home-delivered to subscribers on Tuesday, Thursday and Sunday. It is available in retail outlets and via e-edition every day. Advance Media New York's other consumer brands are NYUp.com and Central New York The Good Life Magazine. Trade literature is a general term including advertising, customer technical communications, and catalogues. The Stephen A. Schwarzman Building, commonly known as the Main Branch or the New York Public Library, is the flagship building in the New York Public Library system and a landmark in Midtown Manhattan, New York City. The branch, one of four research libraries in the library system, contains nine separate divisions. The structure contains four stories open to the public. The main entrance steps are at Fifth Avenue at its intersection with East 41st Street. As of 2015, the branch contains an estimated 2.5 million volumes in its stacks. The New York Public Library for the Performing Arts, Dorothy and Lewis B. Cullman Center, at 40 Lincoln Center Plaza, is located in Manhattan, New York City, at the Lincoln Center for the Performing Arts on the Upper West Side, between the Metropolitan Opera House and the Vivian Beaumont Theater. It houses one of the world's largest collections of materials relating to the performing arts. It is one of the four research centers of the New York Public Library's Research library system, and it is also one of the branch libraries. The highway system of Essex County, New York, comprises 1,367.8 miles (2,201.3 km) of roads maintained by the New York State Department of Transportation, the county, and its towns and villages. Eighteen state-maintained highways enter the county, which account for a combined 329.4 miles (530.1 km) of the state highway mileage in New York. The state roads are supplemented by 356.7 miles (574.1 km) of county-maintained highways, most of which serve as collector roads between state highways. Several highways within the borders of the county serve as connections to ferry landings and bridges across Lake Champlain.